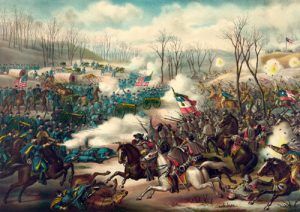 Battle of Pea Ridge, Arkansas, by Kurz & Allison. 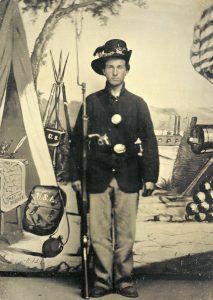 The Trans-Mississippi Theater Campaign of the Civil War was the major military and naval operation west of the Mississippi River, with the exception of those near the Pacific Coast. 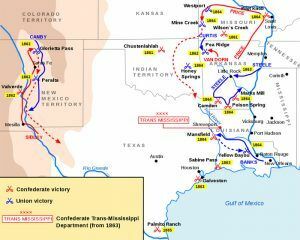 The Confederate Trans-Mississippi Department was formed on May 26, 1862, after recognizing problems associated with trying to govern a region more than a thousand miles distant from the capital at Richmond, Virginia. The area included Missouri, Arkansas, Texas, Indian Territory (Oklahoma), and Louisiana west of the Mississippi River. 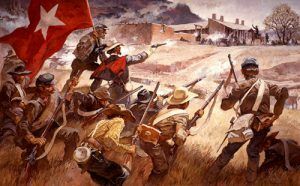 Until the surrender of Vicksburg, Mississippi, the Trans-Mississippi region offered many important resources, including significant numbers of men, Texas cattle, war goods from Mexico, and Texas and Louisiana cotton. Additionally, the small Army of the Trans-Mississippi the Union to keep a military presence in the region, thus tying up men who could have been used elsewhere. After the summer of 1863, Arkansas, Louisiana, and Texas no longer made a significant contribution to the Confederacy. As a result, the states along the east bank of the Mississippi River suffered too. Tennessee, with its capital under Union control, could offer little to the Confederate war effort but men. 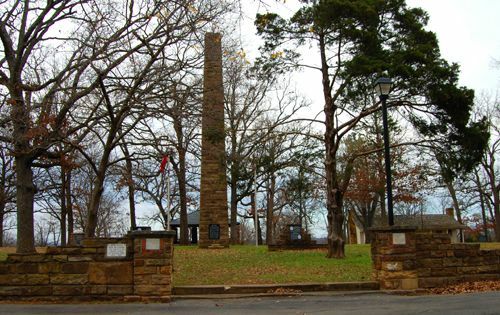 Even within the Army of Tennessee, Trans-Mississippi Confederates from Texas occasionally deserted to go home to protect family and friends from marauding Indians. 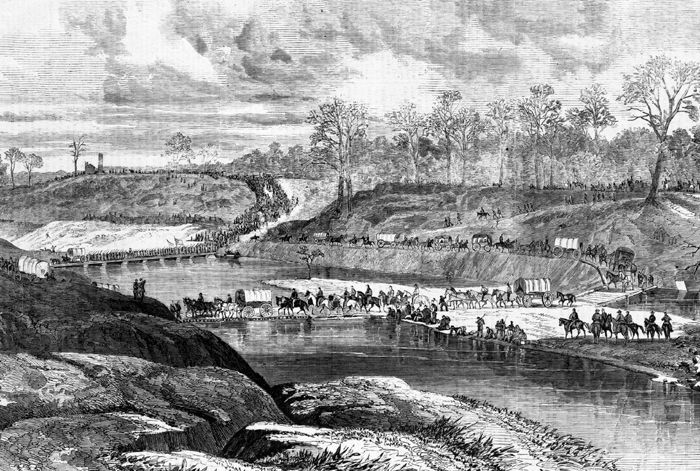 By ignoring the needs of the western Confederacy, and allowing the isolation of the Trans-Mississippi, Confederate President Jefferson Davis forced leaders in the region to rely on their own resources and manpower. Both politicians and military commanders knew that by 1864 the region’s inhabitants had become less willing to send their soldiers elsewhere and that many soldiers would refuse to go. 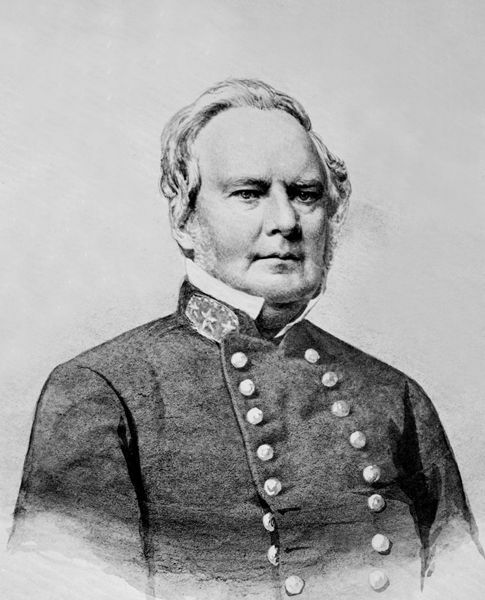 It is true that Trans-Mississippians failed to provide the needed diversions for the fighting in late 1864 and as a result A. J. Smith helped destroy John B. Hood’s army at the Battle of Nashville, but the failure of Confederate leaders to see the Trans-Mississippi as an asset in 1861, or even as a source of manpower to protect the Mississippi River Valley in Arkansas and Louisiana early in the war, ranks as one of the major failures of Confederate strategic thinking. 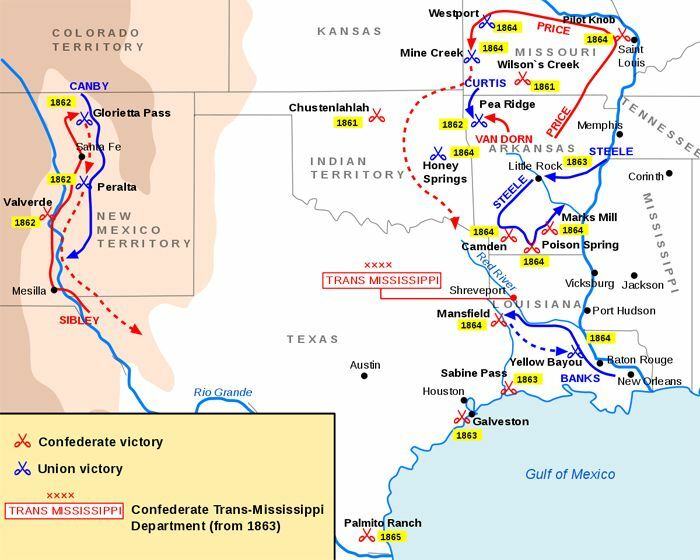 It can also be argued that the manpower to cover all the states from the Carolinas to Texas was simply not there, and when Davis set his priorities, he decided to sacrifice the Trans-Mississippi in order to use the soldiers to defend important cities in the Western Theater. Yet this decision fostered resentment and frustration among Confederates west of the river. Once Vicksburg, Mississippi fell and the Trans-Mississippi became a semi-independent department, the region’s leaders, both civilian and military, made no concentrated attempt to aid the overall war effort and essentially ignored Jefferson Davis’s plea of “one cause, one country” fighting together “for the defense of each other.” As a result, the Union ultimately proved more successful at combining its resources on both sides of the river, while the Confederacy maintained two distinct areas of operations west of the Appalachian Mountains—uncoordinated and separated—to the end. 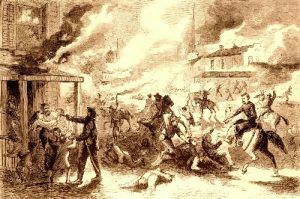 The Lawrence, Kansas Raid as illustrated in Harper’s Weekly, September, 1863.